In Cooperation with Dennis Black, Licensed Arizona Real Estate Broker. 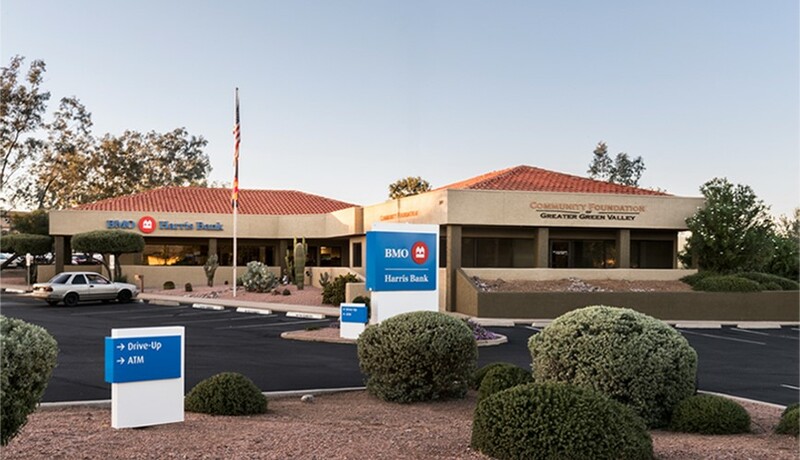 This is a BMO Harris Bank fee simple absolute NNN lease in Green Valley, Arizona. The property is just 20 miles south of Tucson. The 100% fee simple interest in the underlying land and building is being offered. The property features three drive-thru lanes and ample parking. The lease calls for 2% annual rental increases and zero landlord obligations. 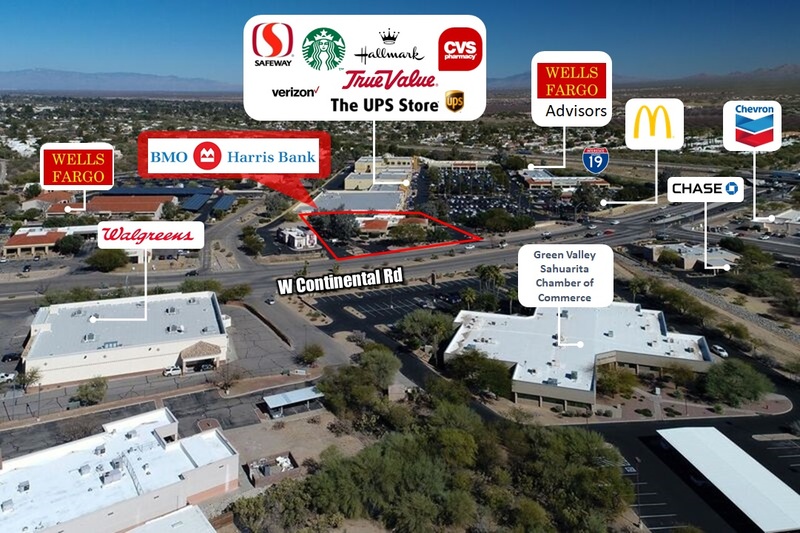 The asset is well situated near major retailers, including Safeway, Starbucks and Walgreens. 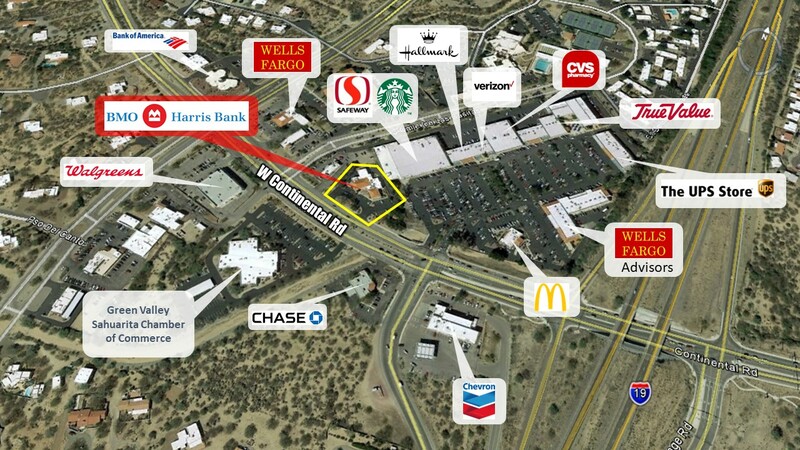 The property is also an outparcel to Continental Shopping Plaza and benefits strongly from nearby businesses.